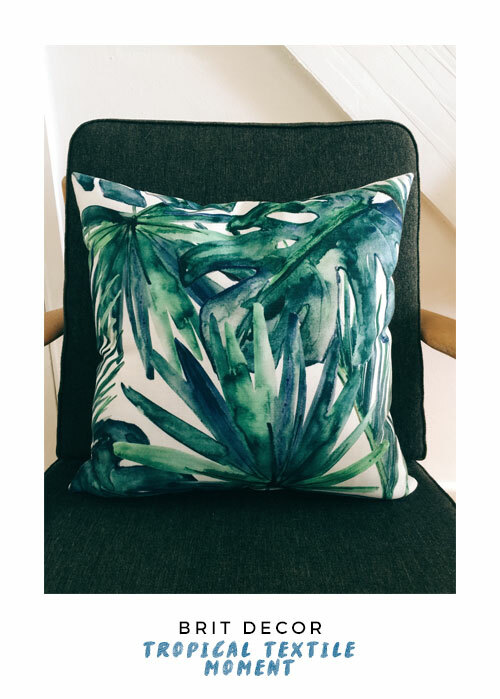 Brit Decor : Home Page: Brit Decor: Totally tropical moment! 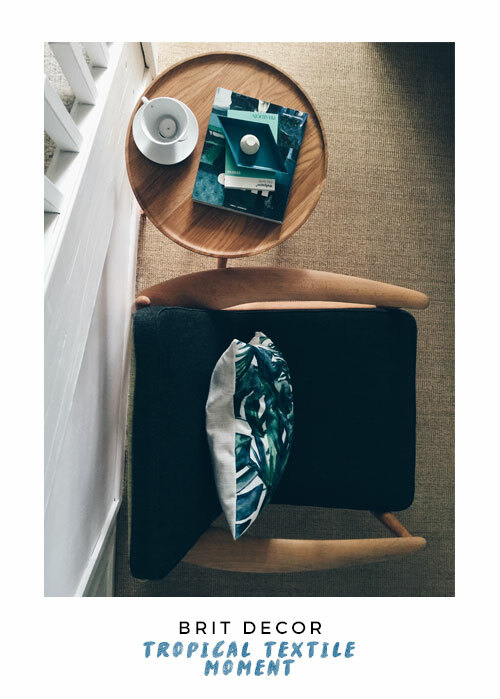 Shhh don't tell anyone, but this week I've added to my rather extensive cushion collection! 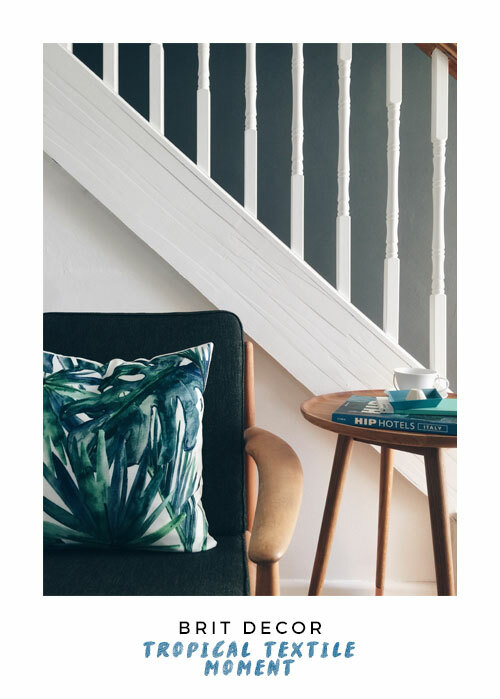 Courtesy of Evans Litchfield, this Tropical Fauna Banana Leaf cushion has suddenly injected a totally tropical flavour to my living room. 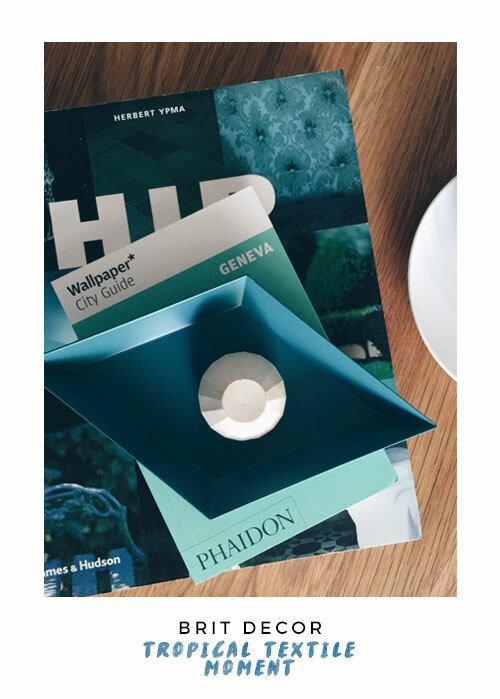 Whenever adding a new item to a room scheme I tend to use it as a prompt to freshen up or swap out other accessories in the space. 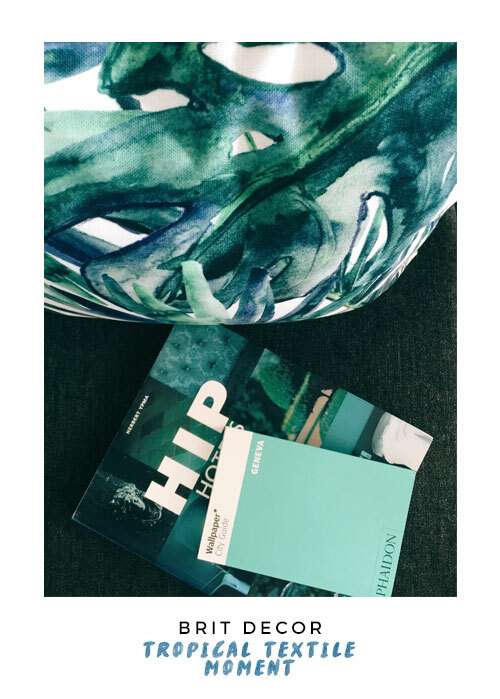 Using some simple accenting, I pulled some of the vivid greens and blues from the cushion's print and matched these up with some palette-perfect books, along with Hay's Kaleido tray. If you have a moment, please make a 'quick click' over to the Evans Litchfield site!